Fist of the North Star: Ken's Rage 2 was announced at E3 with little more than a trailer and fan speculation. Now, Tecmo Koei has released new information on the sequel to Fist of the North Star: Ken's Rage. Announced in Japan under the title, Shin Hokuto Musou ("Shin" (真) meaning "true" or "pure") Ken's Rage 2 will be a sequel only in number. The basic world and combat structure will obviously remain the same and follow the Dynasty Warriors formula of a single powerhouse mowing through a sea of baddies with an occasional mid boss and boss fight here and there, but otherwise, the entire game looks to be an upgrade or reimagining of the previous game. 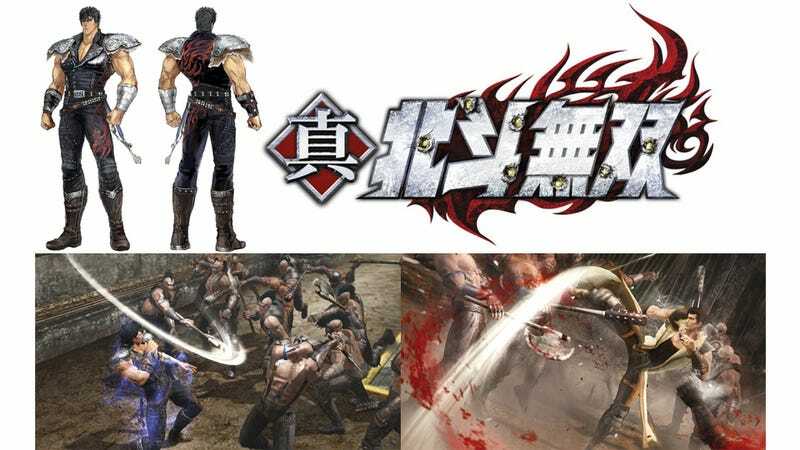 Tecmo Koei has announced that overall, the Ken's Rage 2 will have twice the content Ken's Rage, taking and rehashing the story from the beginning, beyond the ending of the first game (which ended with the defeat of Raoh) all the way to the end of the original anime series. The combat system and character upgrade system will be tweaked to better recapture the atmosphere of the original manga/anime as well as the addition of a dash and dodge system. Several usable characters and boss characters will also be added including Ivan Drago- I mean, the Golden General, Falco, Ken's older brother, Hyou, and Raoh's brother, Kaioh. Fist of the North Star: Ken's Rage 2 is scheduled for release in Japan this December.